The notion of digitizing your business has become a matter of “when,” rather than “if.” For many, migrating critical workloads to the cloud is a key part of this transformation. When deciding on a cloud provider, however, IT executives are under pressure to find a solution that enables reduced costs, greater agility, and above all, the ability to innovate core business processes. 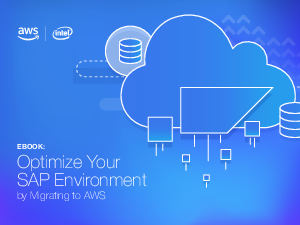 At the heart of many businesses embarking on this journey is their SAP environment. But since SAP workloads represent some of the most critical and deeply integrated business applications, IT executives are required to look for ways to execute this migration in the most timely and reliable manner. Organizations migrating to the cloud cannot risk application downtime or productivity loss.